The West Midlands certainly produced some incredible vocal talents during the 1960’s – Robert Plant, Noddy Holder, Ozzy Osbourne – just to name a few. Jimmy Powell was not only the first great vocalist to emerge from this exciting scene, but can also rightly claim to have a vocal powerful enough to “take the wall paper off the walls” – a description often used by many who were fortunate to have witnessed Jimmy performing on stage. Jimmy Powell made Birmingham pop music history in 1962 when his Decca recording of ‘Sugar Babe’ became the first single to be released by a local performer. Jimmy Powell grew up in the West Heath area of Birmingham. After leaving school, he apprenticed as a lathe operator in Kings Norton while at night he fronted a local band called The Detours. His powerful vocal style soon began to attract attention and in 1961 he turned “pro” after joining an up-and-coming local group called The Rockin’ Berries. In November of 1961, the Rockin’ Berries went over to Germany with the group by this time including local singer Clive Lea as well as Jimmy Powell. The band had a residency at Hamburg’s famous Star Club where they shared the stage with The Beatles amongst many others. 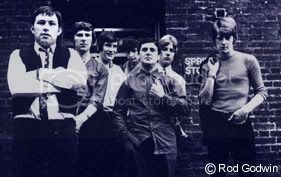 The following year, The Rockin’ Berries were auditioned by TV pop producer/Decca Records talent scout Jack Goode who showed little interest in signing the band to a contract but indicated that their vocalist Jimmy Powell had some potential. The rejected group went back to Germany to continue their bookings at the Star Club but by the summer of 1962, Jimmy Powell along with two other group members left and returned to Birmingham. Jimmy Powell soon contacted Jack Goode who promptly signed him up to a recording contract. The first record release for Jimmy Powell on the Decca Records label was an energetic cover of Buster Brown’s Sugar Baby which showcased Jimmy’s considerable talent as a raunchy R&B performer. This was also highly significant as it can be considered the first “Brum Beat” single. While the record did not chart, it is likely Jimmy Powell’s best known song and got his career off to a good start. Two more good singles soon followed but by 1963, The Beatles were making a big impact on the British charts and singing “groups” – not solo performers were now the “in” thing. Jimmy Powell went down to London where he became involved with the local blues scene at London’s famous Marquee Club. Jimmy’s new manager Malcolm Nixon, introduced him to a hot blues act that he’d named “The Five Dimensions” and Jimmy was soon given the position of lead vocalist. About 6 months later, Jimmy Powell added a second vocalist/harmonica player whose name was Rod Stewart. According to Jimmy Powell, Rod stayed as part of the line-up for about a year. Rivalry between the two singers led to Rod leaving and taking some of the band with him to back Chuck Berry on a British tour (the Dimensions were unable to do the tour because of contractual commitments). Unfortunately, there’s no recordings of Rod Stewart performing with The Dimensions. In 1964, The Five Dimensions were hired to provide backing for Jamaican singer Millie Small on her hit recording of My Boy Lollipop. It has long been thought Rod Stewart played harmonica on the record – a story he has since denied, but according to guitarist Kenny White, it was occasional band member Pete Hogman who played on the session. Pete apparently looked very much like Rod in appearance so it’s likely that Millie Small’s manager Chris Blackwell (who also managed Birmingham’s Spencer Davis Group) was mistaken in identifying him. Other sources have also claimed John “Junior” Wood of the Jeff Beck Group as being the likely contender. According to Jimmy Powell though, none of the above stories are correct. “I played harmonica on My Boy Lollipop and Mike Carroll did the clapping” says Jimmy. Jimmy Powell was signed to Pye Records in 1964 that resulted in the release of a couple of singles. The first of these – I’m Looking For A Woman was composed by Jimmy while the b-side I’ve Been Watching You, was a Bo Diddley cover. Due to changes in the group line-up, the second Pye single – a re-make of Sugar Babe backed with I’ve Been Watching You – had future Led Zeppelin members Jimmy Page and John Paul Jones on guitar and bass along with drummer Clem Cattini. This version of Sugar Babe is probably the definitive one as it shows Jimmy Powell in fine form and established him as a vocal force to be reckoned with. Although Jimmy Powell and The Five Dimensions went on to record a number of great records during the 1960s, their considerable popularity as a “live” attraction was never reflected in terms of record sales as none of the singles sold enough copies to get into the charts. There were at least three distinct line-ups of the Five Dimensions during the 1960s. They were really not a West Midlands group as most members came from the London area. Guitarist Martin Shaw was from Birmingham as well as bass guitarist Tim Munns – formerly of The Rockin’ Berries who Jimmy Powell had previously known during his time with that group. Rod Godwin who was in The Dimensions during the mid 1960s was previously in a West Midlands band called Varsity Rag and was later a member of Cathedral. From about 1967 until the early 1970s, Jimmy’s backing group consisted of Ray and Bob Spiteri (formery of Scarlet Religion on lead and bass guitar), along with Derek Bunt on drums. This line-up went to Germany and performed in Kiel and at Hamburg’s Top Ten Club – later doing the UK college & university circuit along with recording numerous sessions for the BBC. 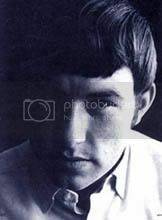 In 1966, Jimmy Powell was signed to Miki Dallon’s short-lived “Strike” Records label and later to Dallon’s Young Blood label in 1969 for which he recorded an album as well as various single releases. 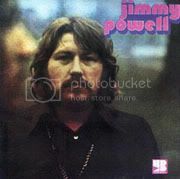 Despite further record releases in the early 1970s and retaining his popularity as a live performer, Jimmy Powell later faded from the music scene. He remains without a doubt, one of the strongest blues vocalists to emerge from the West Midlands in the 1960s. How good it is to see Jimmy at last getting the credit he deserves. I worked regularly with the Jimmy, Ray, Bob and Derek lineup, mainly at Aston, as ents sec and lightshow/lighting crew boss and they were a pleasure to work with. Totally professional, capable of handling all audiences and guaranteeing a good night for both audience and crew. Happy days! Martin shaw, my cousin was the drummer in this band, he sadly died in about 1967.